ZERO #1, a brand new debut from writer Ales Kot with artist Michael Walsh, has officially sold out at the distributor level after its first day of release. 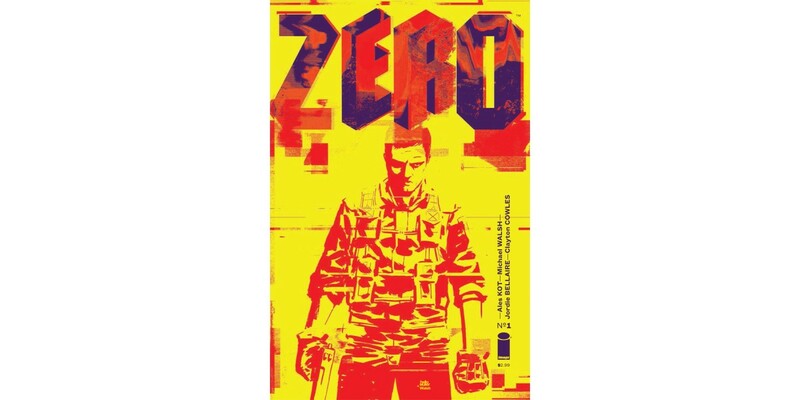 In ZERO #1, Kot and Walsh introduce us to Edward Zero, an extraordinarily efficient soldier trained from youth to do exactly as he is told, no matter how brutal or untoward the act. Each issue will feature a new artist and mission for Zero to complete, with the end goal being a demonstration of how Zero's life changes as a result of his deadly work. "Zero #1 partners Kot with artist Michael Walsh for a story set in the Gaza Strip in 2018, and it’s not only a phenomenal start to the series, but the strongest work of both creators’ careers." "Ales Kot has given us an intriguing story that takes the spy genre to a new level. Michael Walsh's art rips into the action and you'll need to hang onto your seat to make sure you don't fall over while reading. Jordie Bellaire's colors highly complement Walsh's art as each panel has the right focus on attention. The fact that the next issue will focus on another mission makes it all the more compelling to want to come back to find out what's next." "From Ales Kot’s extremely tight scripting to Michael Walsh’s gorgeous, atmosphere-infused artwork, this is a book that a lot of people have been waiting for and it does not disappoint." ZERO #1 may still be available at comic stores, and is also available digitally on the Image website and the official Image Comics iOS app, as well as on Comixology on the web (comixology.com), iOS, and Android. ZERO #2 is in stores on 10/16 and can be pre-ordered now (Diamond Code AUG130721).